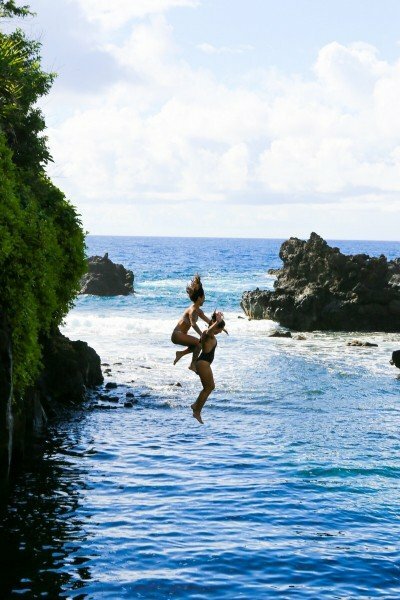 Some the best highlights on Maui’s famed Road to Hana are beyond the town of Hana. While most guide books will claim you can do this scenic Hawaiian road trip in 3 hours, I’d suggest taking at least two days. Spend a night (or three) in the Hana area so you can explore the area at your own pace and linger at the places you like. One of the definite highlights of the area is Waioka pond, better known as the Venus Pool. 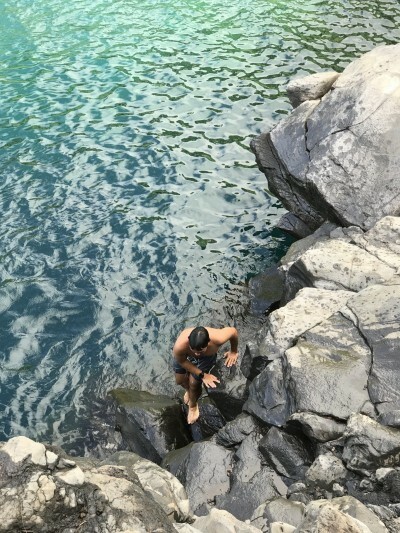 The trail to this beautiful spot can be found on the ocean side of the Hana Highway, just past Mile Marker 48 and before the bridge. 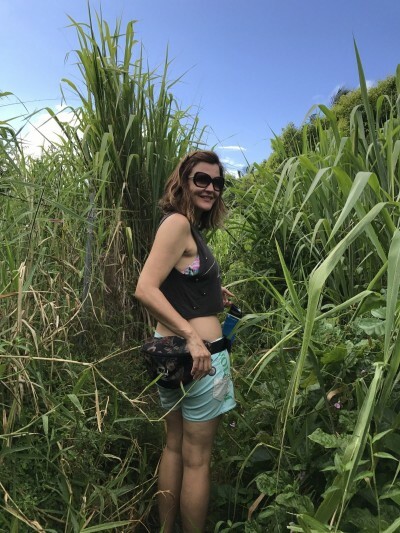 The hike is easy and interesting and it takes about 10-15 minutes of walking through sugar cane and lush greenery and past a weird looking shelter (that is an old bread oven) before you see the stunning blue pool fringed by rock. If you plan on visiting the Venus Pool, be sure you bring shoes that can handle water and have traction. 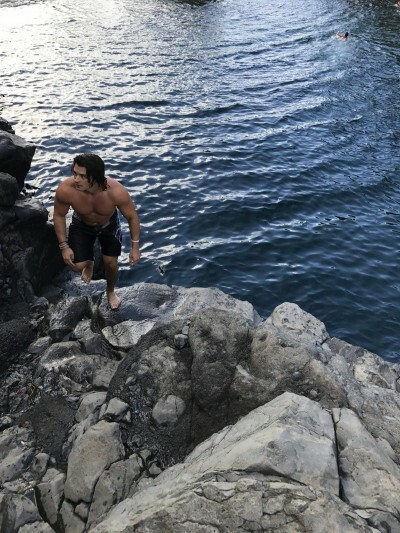 Some of the rocks can get slippery. Sunscreen and a towel are also useful. We visited in late morning it was glorious. Based on the number of locals who showing off their cliff diving prowess, it is a gem appreciated by locals and visitors alike. The Venus Pool is a stunning shade of blue in the late morning light. The water here is slightly brackish since it partially filled by a spring and not just the ocean. I loved the Venus Pool so much I wanted to come back again. It’s a great spot for swimming, hanging out, or having a picnic. If you didn’t bring lunch, head back towards Hana and grab a bite at Bruddah Hutts BBQ, one of the best food trucks in the area. Trail head located just past Mile Marker 48 on the Hana Highway.